Agreeing to participate in a field sobriety test is a major mistake. Arizona police officers could ask you to do the standard exams when you’re pulled over and if there are suspicions of impairment. You, however, have the right to politely refuse doing standardized tests. There’s a simple reason why you should never do a field sobriety test – its results can be misleading. Fatigue, medical conditions and nervousness could all affect the outcome. 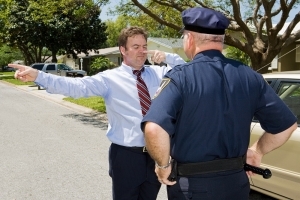 If you do a field sobriety test and you fail, it’s imperative to get in touch with your lawyer as soon as possible. Depending on the circumstances and the reasons for the failure, a few defense strategies can be employed. Field sobriety tests (FSTs) are performed on the spot. If you refuse to participate, you may be taken in custody. Still, you wouldn’t be doing self-incrimination by failing a concentration, balance or fine motor skills exam. Arizona law enforcement professionals are the ones responsible for reading and interpreting the test results. Still, this is the least reliable type of DUI evidence that could be used against you. An experienced DUI attorney will get to challenge FST results in a number of ways – from poor administration of the test itself to terrain issues contributing to difficulties. Usually, FSTs are used as a preliminary tool to determine whether a person is under the influence. In the case of failed FSTs, a driver can be taken in custody where a breathalyzer or a blood test will be administered. Click here for additional information on the field sobriety test call the one-legged stand. In the case of a medical condition: people who have knee or joint problems, those dealing with coordination, balance and eye issues will obviously fail standard field sobriety tests even if they haven’t consumed alcohol. Thus, you should let Arizona law enforcement professionals know if you have an impairment that’s keeping you from doing FSTs. Nervousness: getting pulled over by the police will obviously lead to anxiety. Being nervous and hasty will interfere with your ability to do FSTs. Age or the use of prescription medications: older people are at a disadvantage as far as FSTs are concerned. Coordination tests like the one-leg stand could be nearly impossible to perform by seniors, overweight individuals and those taking certain types of prescription medications. All of these, however, are in no way indicative of drug or alcohol-related impairment. Poor instruction: the Arizona law enforcement professional performing the FST is responsible for providing clear and easy to follow instructions. If you have not been instructed properly, you’ll find it difficult to pass the series of tests. In addition, a police officer may lack the training and the experience necessary to positively identify impairment or the absence of such. Poor terrain for carrying out FSTs: a sloped testing area will obviously contribute to additional burden as far as FSTs go. As already mentioned, several of the standardized tests deal with coordination and balance. If the ground underneath your feet is uneven, you will lose balance a lot faster than in the case of doing the test on a completely flat surface. 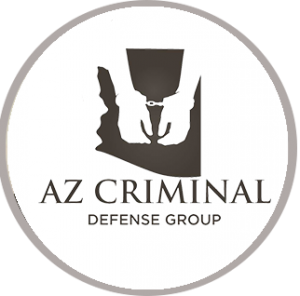 Don’t be afraid to get in touch with your Arizona DUI attorney immediately after being taken in custody. Do your best to remember the essential details of the encounter with the police officer. The more information you can recall about the field sobriety test and the specific conditions, the easier it will be for your lawyer to challenge the procedure and the false positive results.